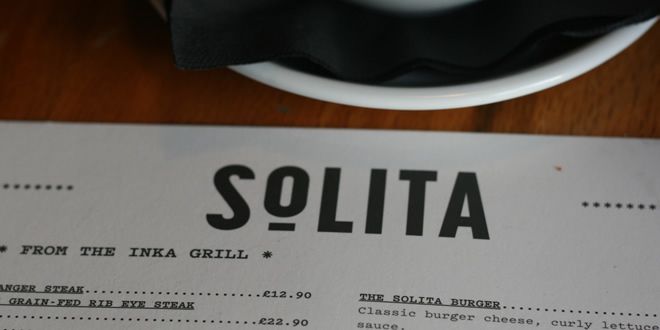 The New Menu At Solita, And Which Is Best: NQ or Didsbury? 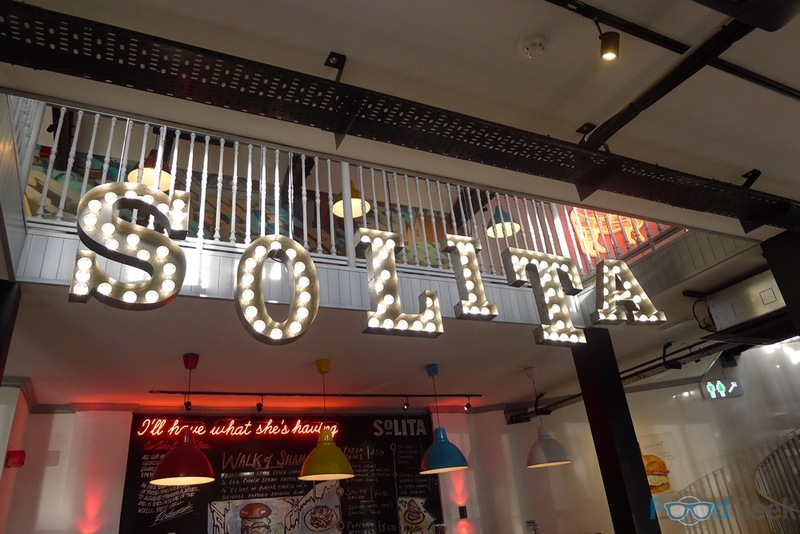 It’s well known that Solita is one of my favourite restaurants; besides the great food it’s the fact that they never stop changing and improving that I love most. Blink and you might miss an amazing special, don’t return for a few months and you’re likely to find a completely refreshed menu next time. It wasn’t even six months ago that the menu was last updated to include the likes of ‘The Jack Daddy’ burger and my personal favourite, ‘Charcoal Grilled Jalapeños’. But that didn’t stop them launching another new version recently. It’s more evolution that revolution this time with a couple of new starters – including one cleverly tweaked poor seller, new grill items such as the 1.2kilo cowboy steak and of course a few new burgers. 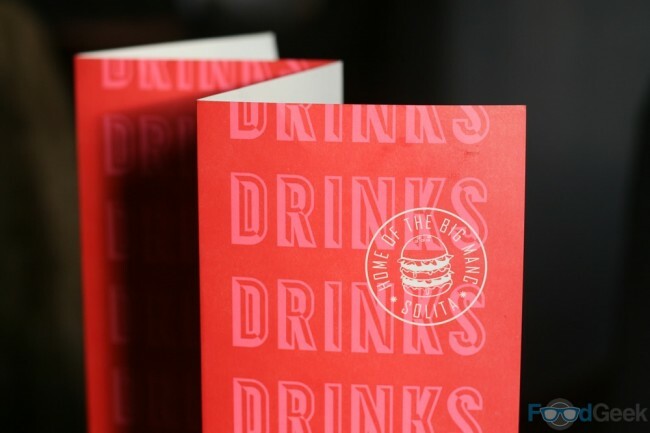 The new menu is available at both the original Northern Quarter site as well as the new Didsbury restaurant. 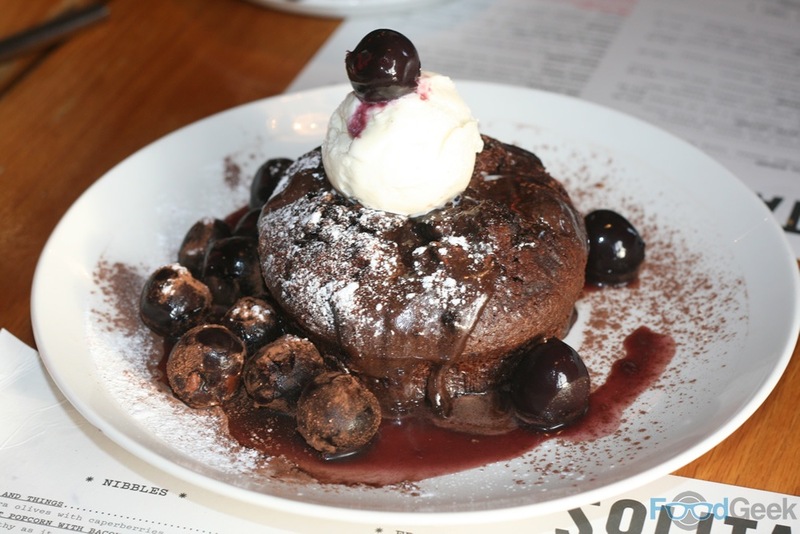 Although I’ll always love the NQ, I’ve enjoyed my last two visits to Didsbury too, so decided to go there when invited to sample the new menu recently. 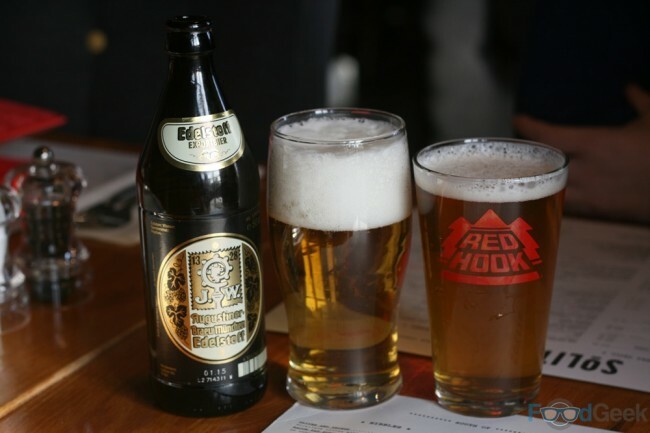 It’s not just the food that’s always changing; every time I visit there are new beers available too. Now including American IPA ‘Long Hammer’ on draught along with bottles of Edelstoff from Augustiner Bräu, Germany’s oldest independent brewery. It was so tempting to order our usual favourites like ‘Lucky 7’ and particularly those amazing jalapeños but we were strictly in professional sampling mode so went for new starters only. 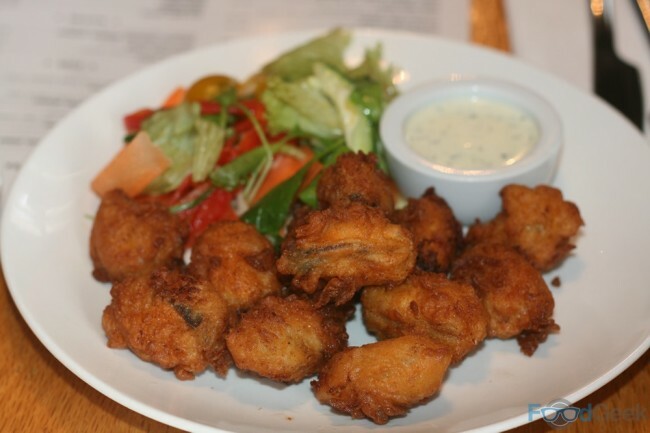 ‘Popcorn Mussels’ are exactly as you’d expect; large, juicy mussels inside a crisp buttermilk fried coating. Tasty, highly addictive and the perfect accompaniment for ancient German beer. Thankfully one of our previous favourites has been retained, albeit in a totally new form. You can’t deny Solita known what their customers want. Noticing that nobody (except us) was buying the genuinely good ‘Warm Spinach & Artichoke Dip’ they cleverly stuffed it into Chinese style won ton wrappers, deep fried them and sold them as ‘Spinach & Artichoke Moneybags’ instead. A stroke of genius as it will undoubtedly lead to more sales, but they’re easier to eat and actually taste better too. Not least because they’re now served with a brilliant charcoal roasted tomato and chilli dip. All round win! You probably already know about our next starter. 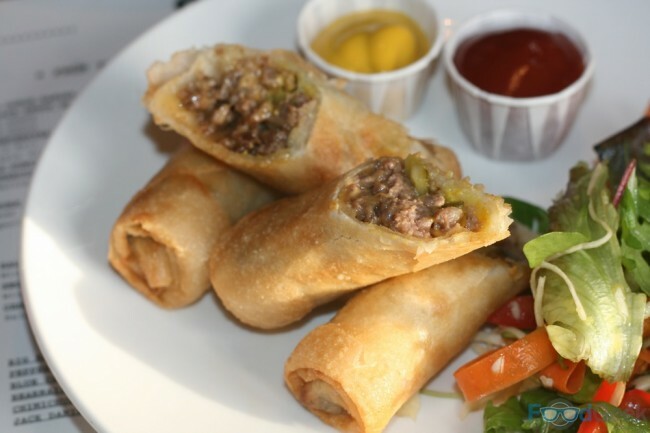 ‘Cheeseburger Spring Rolls’ have caused quite a stir since they launched as a special a few weeks ago. With a little help from national newspaper coverage they’ve proven so popular that they made the main menu immediately and are now the best selling starter in Solita history! But are they any good? Well yes, very. 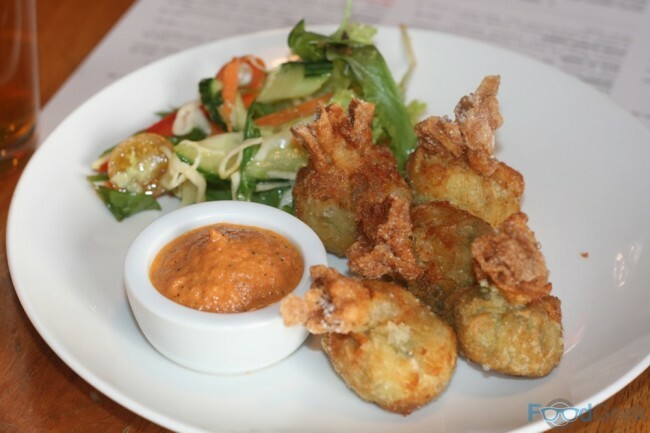 They’re all the flavours you’d expect from a burger – ground beef, cheese, pickles, mustard and ketchup – deep-fried in layers of thin and crispy spring roll pastry. They’re fun, interesting, a handy size and most importantly, taste great. I actually made something vey similar earlier this year, ‘Cheeseburger Quesadillas’. Exactly the same idea but in a quesadilla. Maybe they’ll give me a job? So I made Cheeseburger Quesadillas! I was offered a preview of this years’ Solita Christmas Burger before it officially went on sale. But with it only being the 2nd December I wasn’t feeling particularly festive yet and we always make a special trip for it nearer the big day. Plus, I already had my eye on at least three of the new burgers, so Christmas would have to wait. Due to peer pressure extremely positive reviews from elsewhere I eventually went for the ‘Walk Of Shame’. 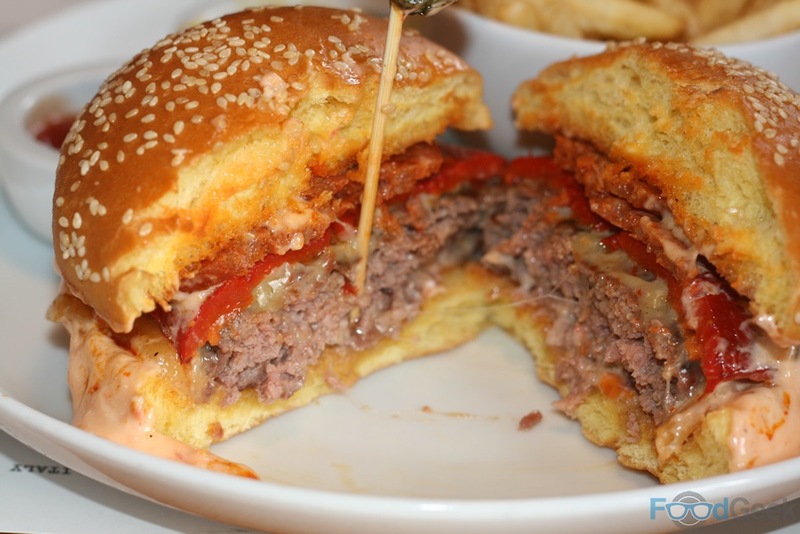 I wasn’t disappointed; this is almost certainly the simplest burger Solita have ever made but quite possibly the best, certainly in terms of flavour, it’s pure burgerness. 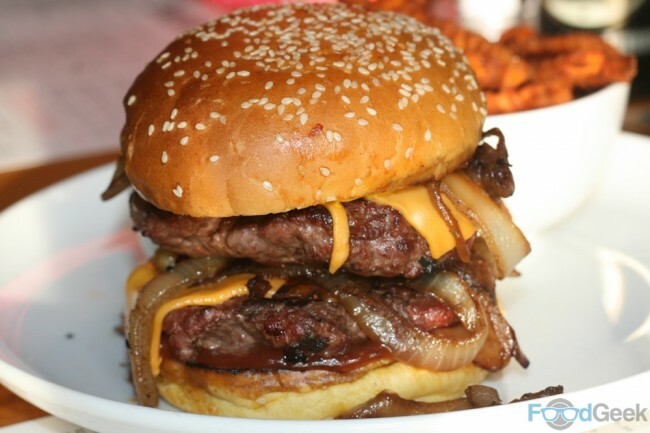 Containing just onions, cheese, mustard and ketchup along with two charcoal grilled beef patties it’s hard to imagine how it can possibly taste so good. For a start it’s a lesson in simplicity, for all the elaborate burgers these days from the likes of Almost Famous and Solita themselves, there’s a reason why these toppings are classics. They just work. Mainly though, it’s the onions. 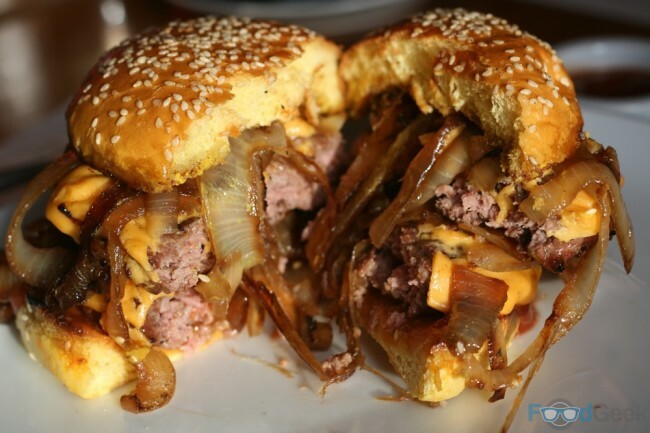 They’re not just ‘just onions’, they’re ‘fairground onions’; slow cooked in the grease from the burgers until they’re ridiculously caramelised, with some burnt bits too. Oh, and the brioche bun is girddled in beef dripping, that can only help. I guess the idea behind the name is that you’ll feel bad for ordering this even though you’ll love it at the time. Well, if that’s the case I’m clearly shameless. 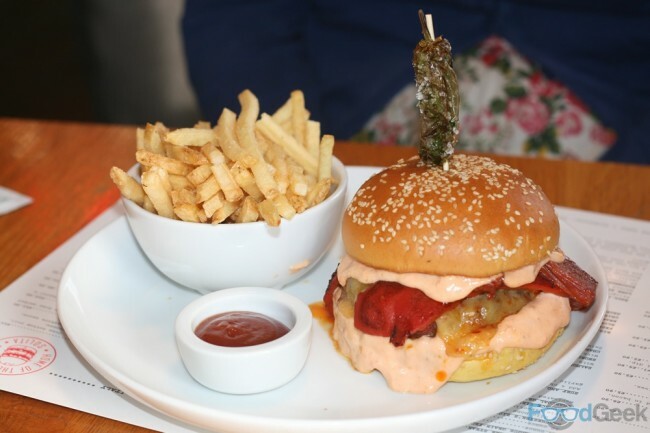 Mrs FG’s burger wasn’t strictly ‘new’ but the ‘Catalan’ has been revamped to such an extent that it feels like a totally new burger. It’s come a long way since it had the honour of being the first ever Solita burger I ate back in 2012. It looks much prettier than it did back then and now comes with a skewered Padron pepper. It tastes far better too; already containing chorizo and roasted red peppers, it now comes with pepperjack cheese and a new and improved tomato aioli, which is just bursting with Spanish sunshine flavours. 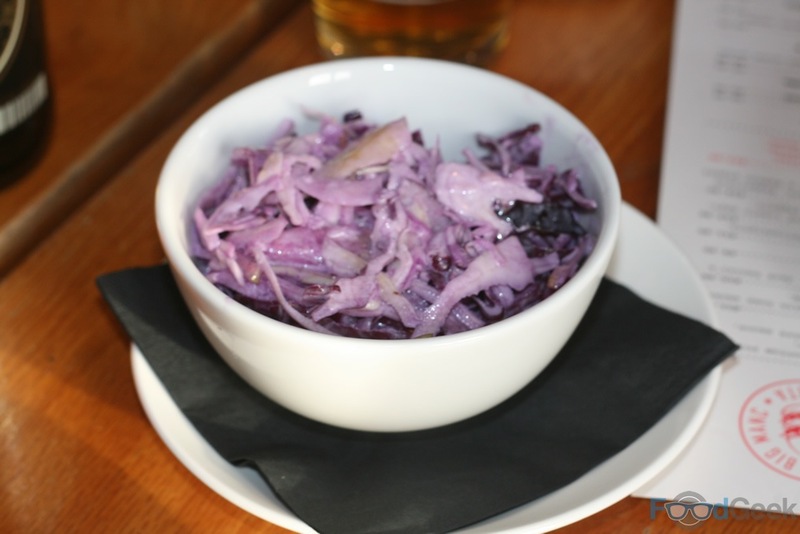 Sides included regular fries, ‘Crinkle Cut Sweet Potato Fries’ – which I foolishly forgot to photograph – and ‘Apple Slaw’. This was fine but didn’t seem to contain much apple, if any. Had I been in regular diner mode I may have given dessert a miss after all that. But spotting a new pud on the menu I soldiered on for the good of this post (any excuse). ‘Molten Chocolate Cake’ is the thing of MasterChef contestants’ nightmares but Solita pulled it off. 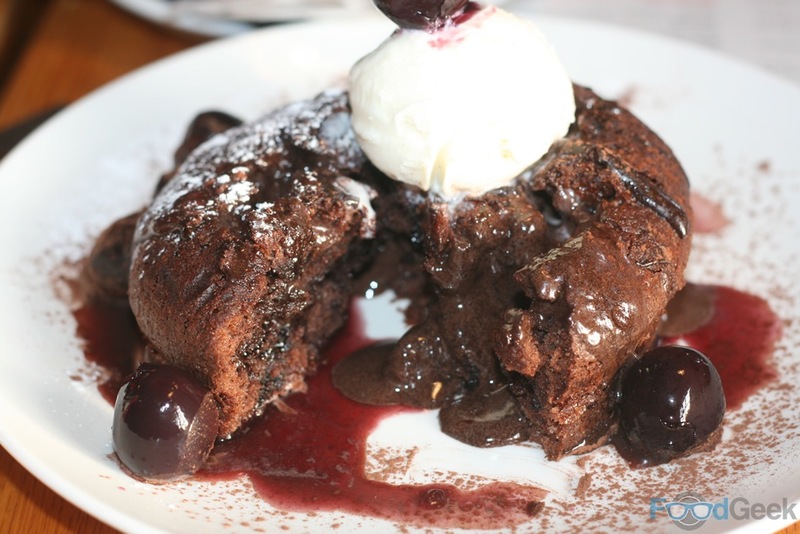 A moist cake just oozing with melted chocolate inside. It actually wasn’t too rich at all and with the refreshing cherries on the side made for a much lighter dessert than I expected. Should have ordered another! Overall, massive thumbs up for the new menu, I think it’s the best yet. There’s a good mix of exciting new dishes to complement the long-standing classics along with reworked versions to improve others. The standard of cooking seems higher than some previous visits too. Impressive considering that Didsbury has only been open for a couple of months yet plans for restaurant three are already well under way. So, Northern Quarter or Didsbury? That is the question. Since the menu is the same at both it’s really all down to the location. Logistically Didsbury is further away for me but easier to get to if I’m driving, plus free parking is always nice. In terms of the actual venues; I think as much as I love the NQ I prefer Didsbury, the decor is just fantastic and it has a much more relaxed atmosphere. I definitely won’t be neglecting the NQ though, particularly if I’m already out in Manchester but I reckon i’ll be more of a regular at Didsbury for proper meals. Disclaimer: I was invited to preview the new menu and not asked to pay on this occasion. As ever, this in no way influences my opinions. I’ve spent more money in Solita than I care to remember over the past couple of years and will be returning at least twice in December alone as a paying customer.